For unique assignments in the Nordic climate. Choose a quality Swedish trailer. 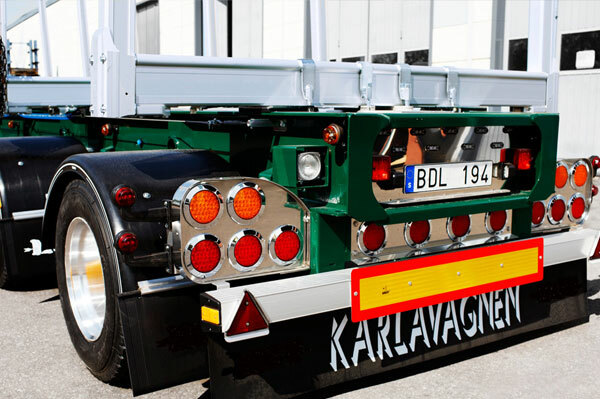 Karlavagnen was originally designed for a special order placed by a demanding haulier. Karlavagnen has a unique frame design that differs markedly from other forestry trailers. Equipped and adapted for all types of forestry transportation throughout the Nordic region, with or without sliding bogie. A household name on the roads. Karlavagnen is a highly coveted trailer, which guarantees a high second-hand value. Karlavagnen has many possible configurations, from suspension to lighting, resulting in a personalised trailer. The frame is made from rolled steel from SSAB and is available in two models: 330 with a total weight of 38 tonnes, and a stronger frame, model 360 with a total weight of 42 tonnes. 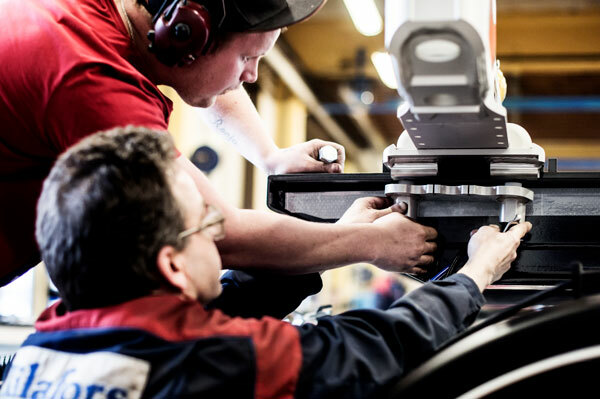 The frame is strong and extremely stable, so it can handle serious swaying and torsional stress. Contact us and we can help you spec your trailer. 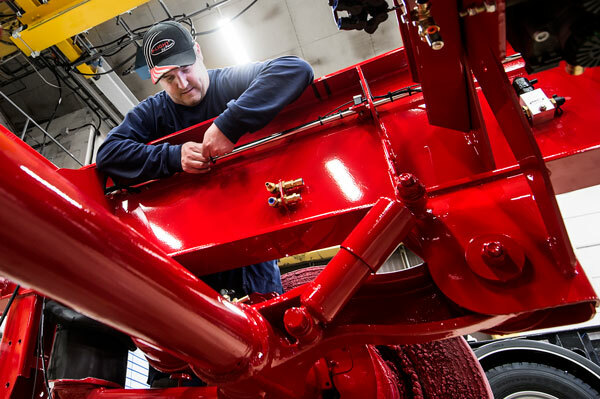 Fill in our configurator to get a quote – it’s quick and easy! We have dealers all over the country.